Lexmoto is a UK-based importer of Chinese-built motorbikes but despite the mixed reputation models from the Asian powerhouse have, Lexmoto performs consistently well in UK sales charts. 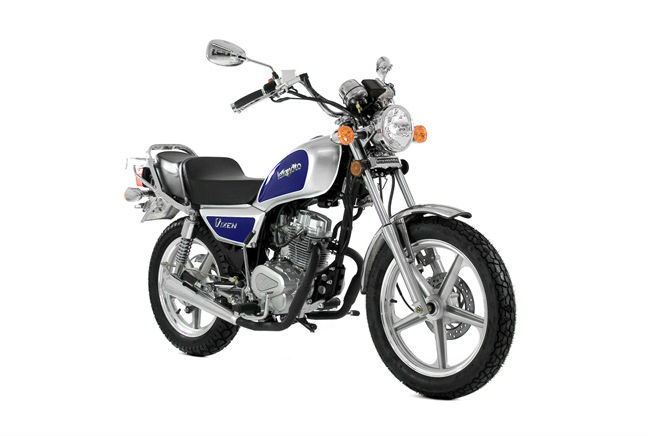 And the Lexmoto Vixen is proof of that with the reliable little custom 125 being the tenth bestselling model in October. With something of a retro feel, the Vixen is a throwback to the 80s having been stripped of its fairings and smothered in chrome. It’s learner-legal, economic in terms of fuel and reliable but, perhaps more attractive is its £850 price tag.